Special Features: conditional borders, bombardments, starting positions, no standard territory bonus,auto deploy, killer neutrals. 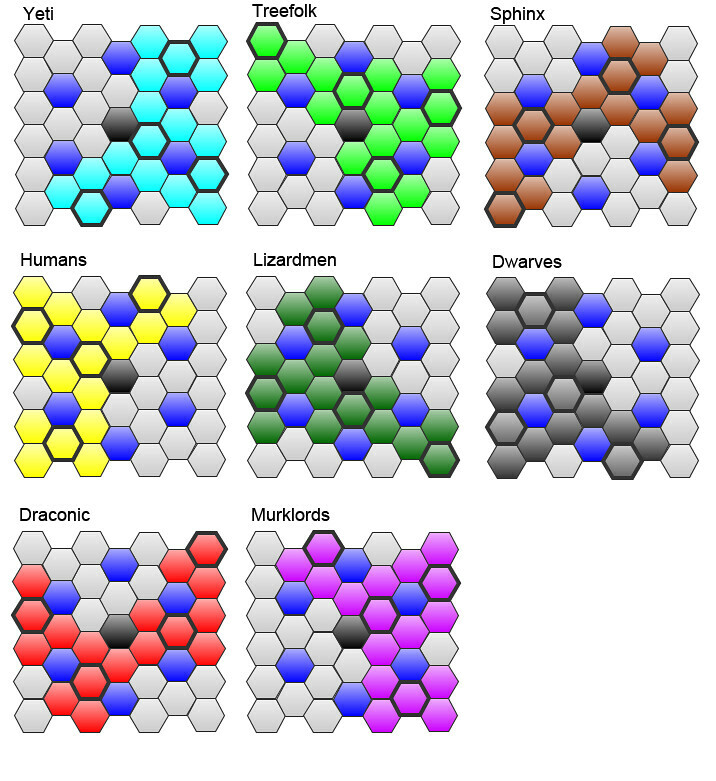 What Makes This Map Worthy of Being Made: I am a big fan of board games and while I like the game that the Conquer Club engine is based on, I love the way the xml has been modified to allow designers to push the envelope and create maps that are in and of themselves their own game entirely. This is what I was attempting to do when I came up with the idea for this map and what I hope will set it apart from other maps. The promise of fame, fortune, and ultimate power have brought eight of the worlds most unique kingdoms to the mystical lands of Vesania (latin for Insanity). Who shall be victorious? And more importantly what mysteries lie hidden in the forbidden lands? 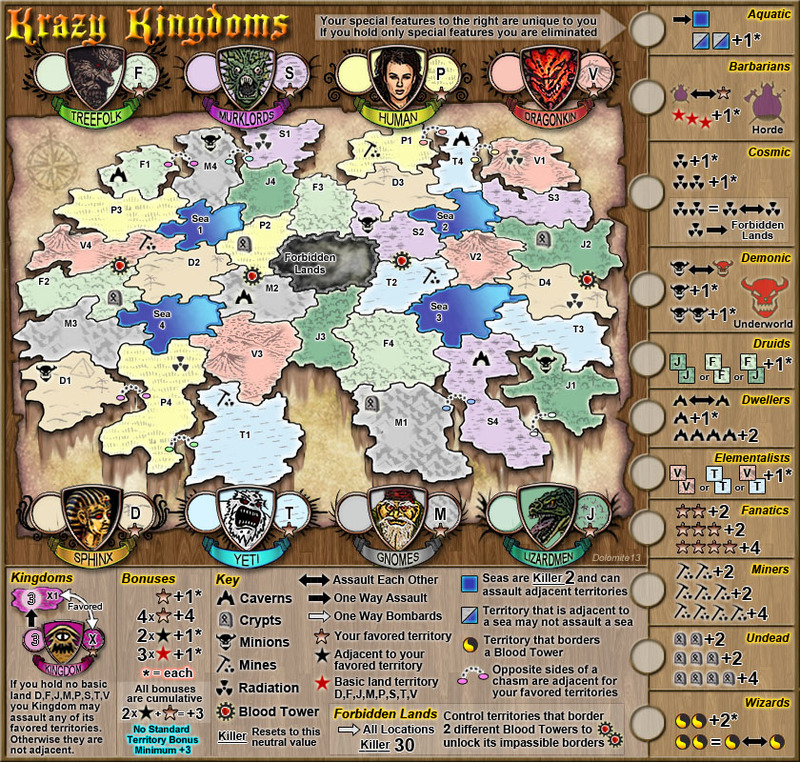 Each player is randomly assigned a kingdom that has a favored terrain type that will determine which territories make up the greatest bonus for that race. Additionally each race is randomly assigned a special feature that further determines what territories will provide additional bonuses and grant new ways of assaulting their opponents. Escalating: the chaotic magic of the seems to feeds off of the anger and conflict. In return the energies have begun to change the denizens of the land making them more powerful and aggressive. Flat Rate: a steady supply of troops flows from your kingdom as you continue your attempt for control of the Forbidden Lands. Nuclear: the chaotic magics of the land seem to lash out. Entire armies simply disappear. Portals to your home kingdom cease to function. Your troops become twisted and unable to gain an advantage from your favored terrain and even the very fabric of your being seems somehow twisted and altered leaving behind an amorphous form that no longer resembles your natural form. No Spoils: with the portal to your kingdom no longer allowing travel on a regular basis you and your troops are left to bolster your position by recruiting the indigenous population. Many years ago a powerful wizard discovered a spell that would take him to a magical land hidden from the eyes of the rest of the world. In this land he built a grand tower where he studied magic and created wonderful and powerful magical treasures. One day an experiment went awry and the explosion of magical energy tore apart the very fabric of reality unleashing unspeakable horrors upon the land. Now Vesania bristles with a chaotic energy that warps the land, vast jungles grows next to barren deserts and the lava flows of great volcano's open upon frozen tundra. At the heart of it all lies a darkness known as the forbidden lands where his tower still stands. The wizard constructed several magical archways in an attempt to return home but each time he activated them they simply vanished. His magical energies were distorted in this land and he could no longer control them. In one final attempt to return he cast the spell that brought him to the land and vanished. Almost one hundred years ago a giant stone archway appeared just outside of your kingdom’s largest city. In all of that time it has been a mystery but now it has begun to glow and bristle with magical energies and anyone passing through the arch is transported to another land. Although there is an identical archway in this land it does not allow travel in the opposite direction. Perhaps the answer lies hidden in the forbidden lands. As the leader of one of the worlds most powerful nations you have sent a force through the archway to explore and conquer this land. What you did not realize was that there were other archways and other kingdoms would lay claim this land as well. You start with 3 troops on your Kingdom, and 3 troops on your Special feature. On your first turn your kingdom will gain 1 troop automatically and you will be granted a +2 deployable bonus. This will result in 6 troops on your kingdom that may assault any of your favored territories to give you a foothold. 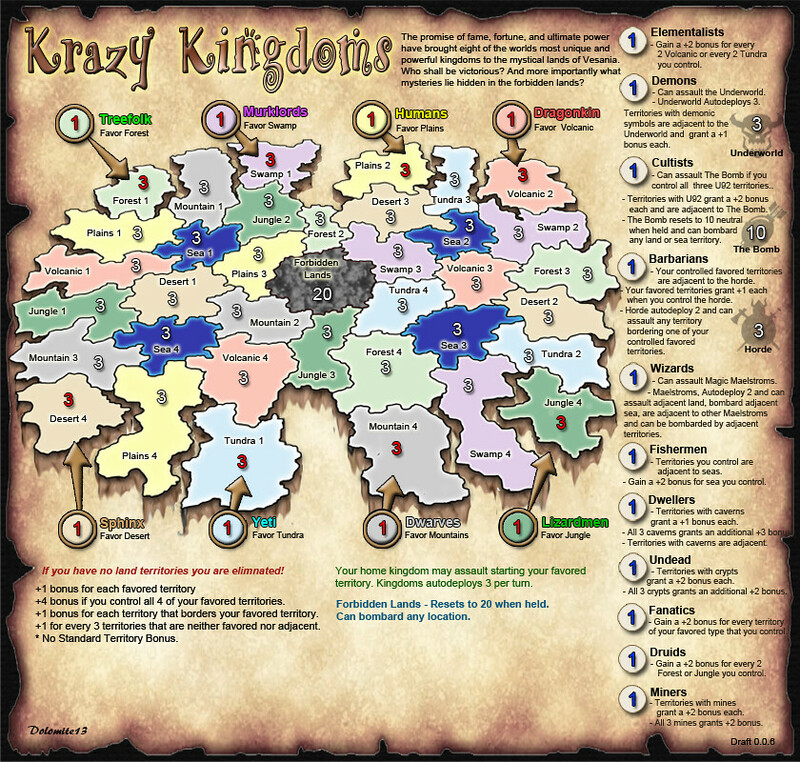 You win in Krazy Kingdoms by eliminating all of your opponents from the 32 primary land territories and destroying the portal to their kingdom by using the magics of the Forbidden Lands. As commander of your kingdoms armies you must control a Kingdom or at least one basic land territory (D,F,J,M,P,S,T,V) on the map or you are eliminated, And you will be shamed, beaten, hung, and drowned although not necessarily in that order. Sea territories, the Forbidden Lands, and Special Features do not count. If you control every territory you would have a bonus of 27 troops. Aditional bonuses would be applied based on your special feature(s). All territories that are adjacent to your favored territory also border another territory that is adjacent to one of your favored territories. This creates what I like to call a “personal continent” that overlaps the personal continents of each other player. This mystical land contains magical relics of great power capable of wiping creatures from existence. But the denizens of this land are even more fierce, destroying any intruders before they can gain a foothold. Those who have unlocked the secrets of entry to these lands have never return. But for now its secrets remain hidden behind a magical barrier. It is said that their are four towers in this land that may hold the key. - Starts with 30 neutral troops. - Resets to 30 neutral when held (Killer 30). - Can bombard any location (land, sea, kingdoms, special features, hoard, and underworld). - Borders impassable unless you have hold territories that border at least 2 Blood Towers. Blood flows from the crevices between the black onyx stones that make up these massive towers. It is said, those that control the towers, may pass through magical barrier that guards the borders of the forbidden lands. If you hold no basic land your Kingdom may assault any of its favored territories. Otherwise kingdoms are not adjacent to anything. 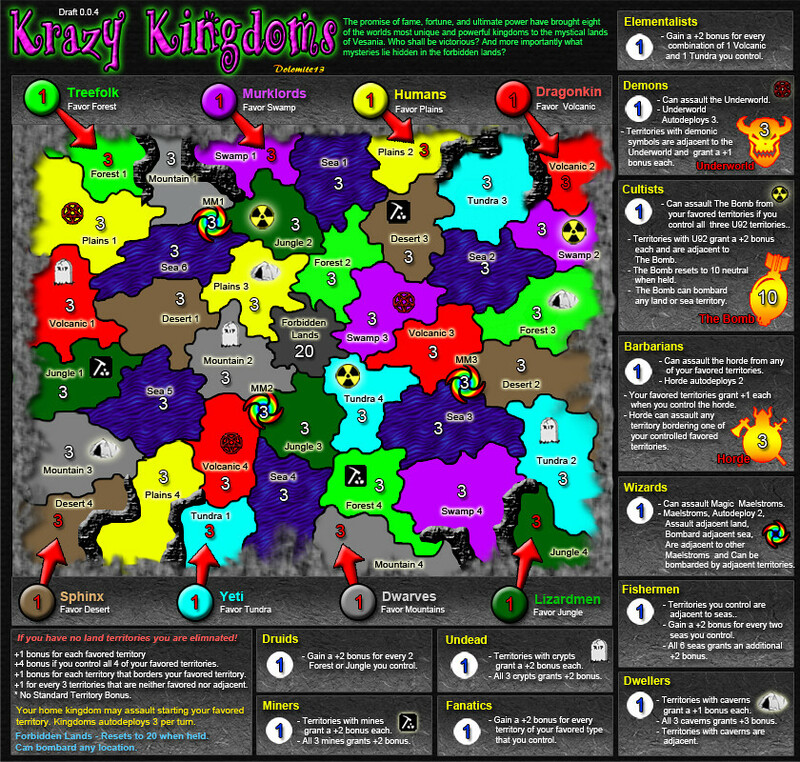 This allows players to select a starting favored territory and will make it a more strategic choice. In fog games it will be much harder to locate your enemy. And in non-fog based games your choice of when to take that first territory will be just as important as where you strike first. Treefolk are sentient creatures which resemble trees both physically and biologically. They are normally quiet, and slow and lumbering, but are quick and relentless in the defense of their forests. They favor the forest terrain in Vesania. Murklords also known as Swamp Creatures are humanoid creatures similar to fish, resembling living piles of swamp mire. They live under the waters of the swamp and occasionally come to the surface when provoked. They possess super strength and a frighteningly bad attitude. They favor the swamp terrain in Vesania. Humans are by far the most numerous single species in the world, and quite possibly the most violent. While they spend much of their time hunting and gathering they quickly go to war to acquire more of what they claim to be theirs, namely everything. They favor the hills & plains terrain in Vesania. Dragonkin are a race of powerful and intelligent dragon-like creatures that are believed to be the oldest race in the world. They are powerful and malevolent creatures that spread destruction wherever they go. They make their homes in the catacombs beneath the worlds volcanoes, preferring the immense heat to that of the worlds surface. They favor the volcanic terrain in Vesania. Sphinx are humanoid but resemble a lion with the wings of a great bird. They are treacherous and merciless. They are ravenous creatures that will often begin eating their fallen enemies before the battle is over. They are however great architects and often build grand architectural structures such as royal tombs or religious temples for other races. They favor the desert terrain in Vesania. Yeti are a white ape-like inhabit if the northern regions of the world. They are taller than an average human and stronger than a bear. They are often hunted for their fur which has made them lash out violently, destroying any settlements of other races near their own. They favor the Tundra terrain of Vesania. Gnomes are shorter than Humans and are great metalworkers, smiths and stone workers. Fierce in battle, their main weapons are magical rune daggers. They primarily live underground and usually obtained food through trade with other races. They favor the mountain terrain in Vesania. Lizardmen are primitive reptilian humanoids typically standing from six to seven feet tall covered in scaled. Lizardmen are omnivores, though they have a preference for meat. Lizardmen have made a home in the in the wet climate of he jungles and rainforests of the world. They favor the jungle terrain in Vesania. Each race has a favored terrain. Each territory of your favored terrain that you control is worth +1 bonus armies. If you control all four of your favored territories you gain an additional +4. In addition each territory that borders a favored territory that you control is worth an additional +1. Your Special Feature cannot assault or bombard any territories and it may only be bombarded by the Forbidden Lands. Each Special Feature grants you the ability to gain additional bonus troops based on controlling certain territories on the map. You may also gain access to territories across the map. All special feature bonuses require conditions to be met and there are other abilities granted that make up for lower bonus count. Aquatic - Aquatic gain bonuses from territories that border seas. This is +2 for every 2 territories. They may also conquer seas however the seas of this land are filled with massive and fierce creatures that will find you a tasty morsel and will eat any troops left behind. Barbarians - The Horde is a special location that you may assault from your favored territories (Swamps if your are Murklords for example). The Horde also assaults your other favored territories allowing you quick travel across the map. Barbarians also gain a +1 bonus for every 3 basic land territories which in effect doubles the basic land territory bonus. Cosmic - You are made of the stuff of the stars. Radiation increases your power and in this land it is plentiful. There are four territories with radiation and they grant you +1 bonus for every one you control and an additional +1 for ever two of them creating a unique bonus of +1,+3,+4,+6 respectively. When you have two territories with radiation you gain additional powers to teleport between all radiation territories and the ability to bypass the forbidden lands border and teleport directly to the forbidden lands from any radiation territory you control. Demons - You have access to the underworld and may assault it from any territory they control with minions. And in turn the underworld grants demons travel to any other territory with minions. There are four territories with minions and they grant you +1 bonus for every one you control and an additional +1 for ever two of them creating a unique bonus of +1,+3,+4,+6 respectively. Druids - Jungle and Forest territories provide a bonus for druids as they are able to gather up the denizens of these lands to assist them in their quest for glory. Every two Jungle or Forest grant a +1 bonus and combinations of Jungle & Forest grant an additional +1 bonus for a maximum bonus of +8 if all 8 territories are held. Dwellers - There are four caverns on the map. Each one grants a +1 bonus however controlling all four of them grants an additional +2 for a grand bonus total of +6. Additionally dwellers may move through a network of connected tunnels and may assault any territories with caverns from any other territory with caverns. Elementalists - Volcanic and Tundra territories provide a bonus for elementalists as they are able to gather up the denizens of these lands to assist them in their quest for glory. Every two Volcanic or Tundra grant a +1 bonus and combinations of Volcanic & Tundra grant an additional +1 bonus for a maximum bonus of +8 if all 8 territories are held. Fanatics - Fanatics are granted a bonus for conquering their favored territories. For the first two they are granted a +2 bonus. At three an additional +2 is granted and at all four an additional +4 is granted. For a grand total of +8. Miners - There are four mines on the map. When you control two of them you are granted a +2 bonus. You receive an additional +2 at three mines and +4 at four mines. For a grand total of +8. Undead - There are four crypts on the map. When you control two of them you are granted a +2 bonus. You receive an additional +2 at three crypts and +4 at four crypts. For a grand total of +8. Wizards - Territories that border Blood Towers grant the wizards a +2 bonus for every two. And when you control at least two of them they allow the wizards to teleport between all territories that border blood towers.. In games with 4 or less players each player will receive more than one special feature. In this case they receive benefits from all of these features. There are a few combos that can be slightly overpowered. Barbarian Fanatics: If you run across this combo be aware that Barbarians may assault the Horde from any favored territories and may then begin to assault their favored territories from the Horde. And that once they reach two favored territories the fanatic bonus begins to kick in. Add to that double the bonus for every 3 basic lands and this can get out of hand rather quickly. Wizard Dwellers: Wizards gain their bonus my controlling territories that border the Blood Towers in the game and their are two caverns on these territories. Giving wizards a quick way to travel between them and with two ways to get bonuses on these territories they can get out to a decent bonus rather quickly. Undead Wizards have an ability to grab a bonus from both as well but rely solely on the wizards travel bonus to get around. Elementalist Druids: Although this combo doesn’t seem all that good on the surface it really shines as you begin to expand as you are granted a bonus for over half of the territory types on the map. And if any of the territories they gain bonuses from are your favored that will make it even better. In a 2 or 3 player game pairing this combo with Aquatic could bring a very good bonus as you spread out across the map. If you can think of any other combos that work well together please feel free to message me and I will add them to this post. All versions beyond this were lost to an imageshack purge. Last edited by dolomite13 on Tue Jan 22, 2019 1:19 pm, edited 138 times in total. Might be an idea to put the separate info into different spoilers so the map is not lost half way down the post. Yowza, what a first post and development. 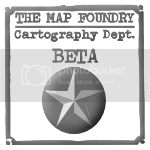 I don't know if I'll have much to contribute to the development, as I've stayed away from your Monsters map, ha. This map uses an unorthodox "personal continent" system. This means that each race in the game gets it's main territory bonus from 17 of the maps basic land territories. Each player starts with a "gateway" in one of their favored territories. The territory borders two other territories. In all each terrain type as one that borders two, one that borders three, and two that border four territories. I have detailed below where each race/terrain favored territory is and each bordering territory and put them on a map so that you can see how the territories border one another. I also worked it out so each player's personal continent had no gaps between territories. Do you folks like this idea? Does this system seem interesting? Too Complicated? Does the bonus seem like enough? Too Much? Too Little? This image shows the favored territories and territories adjacent to favored territories for each Race. +1 for each favoured territory. +4 for holding all 4 favoured territs. So will it be +4 for holding all four or +8. Will this bonus stack up? +1 foe (for? )every non favoured territs. +1 for each adjacent territ to a favoured territ. Complicated yes, and may need to be adjusted, but right now, leave it as is. Bonuses seem OK for now but I worry that dice luck will decide games. Forbidden lands - Resets to 20 neutrals when held. Can bombard any territory, race or creature type. Try this, Forbidden lands - Resets to 20 neutrals when held. Can bombard all territories. Just shorter and should be less confusing. Do you lose the game if you lose your sun? Not explained. Thats all for now. Still trying to get my head around this one. koontz1973 wrote: Do you lose the game if you lose your sun? Not explained. If you have no more land territories or gateways (the sun) you are eliminated. You start with just the gateway on the main map. I think I forgot to add that you basically get no bonus to start. I was thinking that Gateways would autodeploy 3 which would mean that in team games everyone could not just stack on someone and have them steamroll over an opponent on the first turn. You would need to branch out first to get some bonuses before you had troops to deploy elsewhere. I also put 5 troops in the territories between those that the players start in. I was hoping that for the first turn or two people would need to conquer weaker territories and try and put together a small personal continent and maybe grab a creature type bonus here or there and build some bonus up before starting to take out opponents. I agree that this could get very RNG and may even create instances of utter imbalance based on the race/creature type combos. But I was hoping for a map that was crazy and unpredictable every time you played it and would cause players to need to "temporary" form alliance to handle players that get lucky early. I am wondering if the territory your gateway is in should be set to 1 so you get a quick conquer and that card for spoils games. So if you lose the sun, you are out. This needs to go on somewhere. A +1 or 2 auto would suffice as these are likely to be left alone in everything apart from unlimited reinforcement games. If you can only attack the suns from the forbidden lands, you not only have the 20 neutrals to deal with then. Might even be an idea to not have the killer neutral but to have a very high decay (-99) on the forbidden land. This way, players who strike first have to really think before doing so. Am I correct in thinking that the lower part of the legend with the circles are part of the playing board. If so, how do I attack it? Is it swamp 3 to demons to underworld to bomb? If this is correct, it needs to be made clearer somehow. koontz1973 wrote: So if you lose the sun, you are out. This needs to go on somewhere. No the sun (gateway) is just another territory (inside a territory). The intent is that the sun is the gateway from your home kingdom and that it's a one way portal. I intended it as the way to gain some autodeploy forces every turn provided you hold it but not allow any other player to hold it. To be eliminated you need to have no troops in a land based territory including the gateway but not including the islands, monsters, bomb, horde, or underworld. The creature types and race would also not matter for elimination purposes. I agree that elimination text and text describing what is what "creature types", "Races", special territories etc needs to go on the map. koontz1973 wrote: A +1 or 2 auto would suffice as these are likely to be left alone in everything apart from unlimited reinforcement games. If you can only attack the suns from the forbidden lands, you not only have the 20 neutrals to deal with then. Might even be an idea to not have the killer neutral but to have a very high decay (-99) on the forbidden land. This way, players who strike first have to really think before doing so. The fo4rbidden lands are intended as a game changer and that their chaotic magical creations grant you access to bombard every territory including races and creature types and would allow you to eliminate someones racial bonus or creature type bonus as a strategy. I'm now thinking that races and creature types need to start with 7 or 10 to make them less of a target early. koontz1973 wrote: Am I correct in thinking that the lower part of the legend with the circles are part of the playing board. If so, how do I attack it? Is it swamp 3 to demons to underworld to bomb? If this is correct, it needs to be made clearer somehow. Yes they are part of the board and can only be bombarded by the forbidden lands. The races on the left along with their associated sun are preset starting areas the creature types at the bottom are random drop start so as to create different race/creature type combos every game. The bomb, underworld, and horde are explained under the creature types as to how you attack those but it needs iconograpy or better descriptions and should probably be near their creature type descriptions. I put them where they are because i had not had a chance to massage the map yet to make everything fit in a good spot. The Bomb can only be attacked by a player that has the creature type "Cultists" and has conquered all 3 territories with the "radiation symbol". They can assault the bomb from any of territories with the radiation symbols. The bomb bombards any land territory including seas and islands sort of like the forbidden lands but doesn't assault special territories like monsters or races or creature types, horde or underworld. Because it resets to when held it makes it a limited use for cultists but still a great way to make bombardments across the board and remove possible bonuses for opponents and a way to clear vikings off of the islands. Resetting to 10 may be too high and is negotiable. The Underworld can be assaulted by any territory that has a demonic symbol and only by the creature type "demons" the underworld turns into a place where the player can store troops that can only be attacked by the forbidden lands but also lets them assault across the map as the underworld is adjacent to all demonic symbol territories. And it auto deploys 3 so its a decent place to eventually get to. This may need more neutrals up front, maybe 5 or 7. The Horde is a barbarian creature type territory that can be assaulted by barbarians from any of your races favored territories. Holding the horde makes your favored territories worth additional troops. The horde also autodeploys 2 and can assault any territory bordering any of your held favored territories. It becomes useless of someone uses the forbidden lands to take out your race or if you hold none of your favored territories. Do you think I will need to apply for a supersize map to get all the text on there? I would really like to come up with shorter text and some iconography that would help rather then do that. OK, now I think I am starting to understand the game mechanics. Will have a think today on it and post some thoughts for you later, but one thing and this will be essential, it needs to be made clearer with a lot less text. It can be done. As for supersize, do not bother with the application as it will not be granted. The current set up is this, if you need to go larger you will be given extra but the small must be made to current guidelines of 630/600. I'm sorry, I don't come around here often these days, but I wandered in here because I saw the whimsical C->K replacement in the title and had to see what this was about. I realize this is a draft but the graphics of this map are horrible. If I wanted to play this map I'd have to turn my monitor to black & white or I'd get a migraine from all those rainbows. Try going for a more subdued palette, not this rad 80:s in-your-face stuff. natty dread wrote: I realize this is a draft but the graphics of this map are horrible. If I wanted to play this map I'd have to turn my monitor to black & white or I'd get a migraine from all those rainbows. Try going for a more subdued palette, not this rad 80:s in-your-face stuff. Right now I colored things that way for ease of identification between which races favored which terrain. 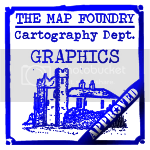 I plan to make the map graphics much more subdued possibly with different graphics or patterns. 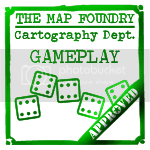 I am looking over many of the existing maps for ideas as well as combing through my board game collection to see what types of graphics people use for terrain. So I am trying to massage the text a bit ... Lets see if this would be better for each creature type. Where symbols would be used I am putting [[X]] in that place.... I might be crazy and using all symbols may make it more confusing overall but I do believe that I need to explain other things on the map it possible and need to make space. Seas reset to 1 neutral when controlled. Control a territory with a mine to gain its benefits. Can assault Monsters bordering territories they control. Control a territory with a caverns to gain its benefits. Control a territory with a crypt to gain its benefits. I have been pondering the mechanics of the seas and vikings. Because Vikings are the only unit that can utilize a sea zone. And because you cant attack an island without using "The Bomb" or "The Forbidden Lands" having the seas around islands be conquerable is worthless. I think that the other 3 seas with no islands should still be conquerable by vikings but they can be bombarded by any bordering sea so they are more for quick hopping across the sea. So I will be changing it as follows. Can assault islands in adjacent sea territories. Can assault land territories in territories adjacent to sea zones where they control an island. Gain +2 bonus per island. Last edited by dolomite13 on Mon Sep 10, 2012 5:10 pm, edited 3 times in total. Because "Jungle 3" and "Desert 1" are territories I want to start with additional neutral forces to help create speed bumps at strategic locations I believe I'll need to move the crypt and mine that are on them. Jungle 3 crypt will move to mountain 2. Desert 1 mine will move to jungle 1. This leaves desert 2 as the only empty territory not worth any extra bonus other than being favored. Might want to consider making one of the creature types utilize 4 rather than 3 territories and add the icon there. I have been thinking about the gateways (suns) and now believe they are unnecessary. The map area for each race can represent their home kingdom. It would be fine if you could attack from your home kingdom/race location through your gateway to the territory with your gateway. Instead of the gateways deploying 2 or 3 the kindom space can autodeploy that. I'm updating map with current gameplay direction and will update text as well shortly. - Removed gateways and any references to them. 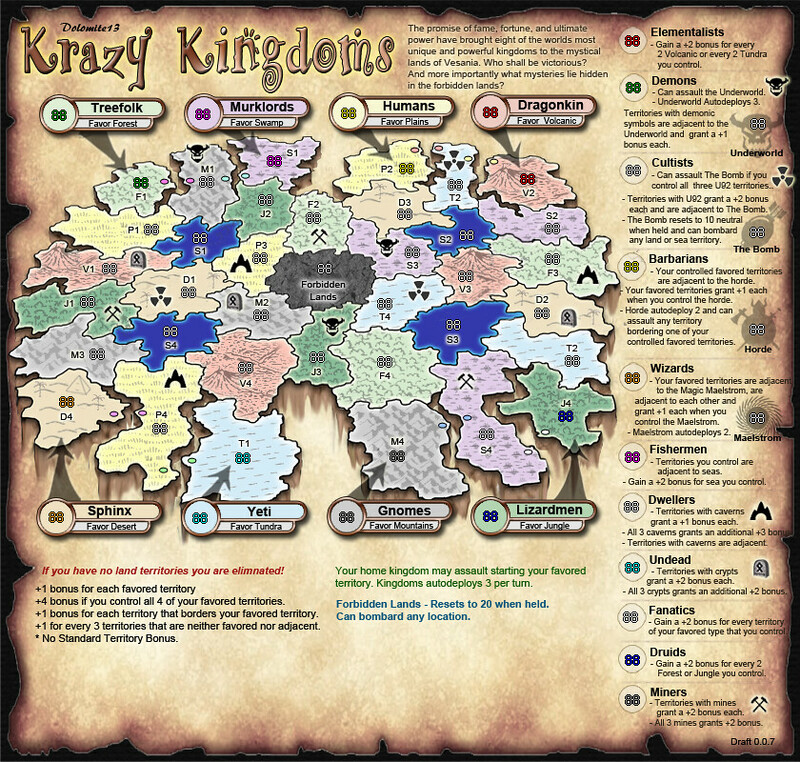 - Added starting troops on the favored territory that can be assaulted by your kingdom. - Upped the speed bump neutral territories to 7 so its harder to eliminate a player on turn 1 in a team game. There is still one of each color making it a little harder for someone to get all 4 favored territories but the same across the board. - Swapped island 1 and sea 1 and increased sea 1 and sea 2 to 7 armies again to try and thwart turn 1 elimination in team games. Last edited by dolomite13 on Fri Sep 14, 2012 9:48 pm, edited 1 time in total. dolomite, I think you are heading in the right direction. 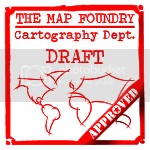 Tuesday and Wednesday are my long work days so have less time to look at maps in the drafting room. But I like this direction and do have some ideas/suggestions. Give me till tomorrow and let me have a long proper look at it and will post it all then. You have not been forgotten. koontz1973 wrote: dolomite, I think you are heading in the right direction. Tuesday and Wednesday are my long work days so have less time to look at maps in the drafting room. But I like this direction and do have some ideas/suggestions. Give me till tomorrow and let me have a long proper look at it and will post it all then. You have not been forgotten. Ok dolomite, here are my thoughts ranging on most things. Title. 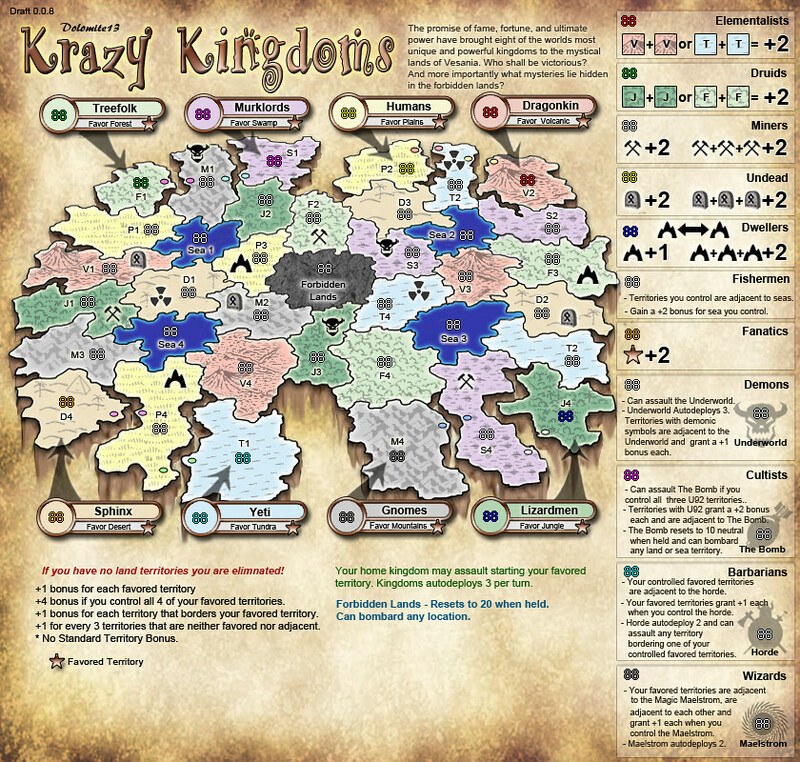 Why krazy kingdoms? When I look at the map I see lots of different species all having there own lands and abilities. What makes that crazy? Seems pretty much the norm for modern society now. I like the kk thing going on in the title but krazy seems wrong and maybe a different k word can be found to suit better. Just do not add another k to it or you will get kkk. Story. This is nice and you should keep it in if at all possible. Map.Not sure having the neutral 7 will stop round one eliminations in large team games. They also throw the map off balance because, of the high neutral it just seems out of place. An idea would be to drop them back to three or even a two and come up with an impassable for all of the territs that start and the seven. So Forest 1 and Swamp 1 cannot attack Mountain 1. Players would then need to go through 3 territs before attacking another player. Graphics. Whilst I have no problem with you recycling graphics from earlier maps, those monsters are not the best thing to use. I know you are in the early stages and really do not want to spend time on graphics whilst things are still being sorted, please come up with something for the map graphically. Colours are very bright and need to be more subdued but also a different texture for each land and sea would be good to see. Neutrals. As I said previously, the 7 neutrals are not working for the reason you put them on and in all cases will never be attacked in games. Why waste troops on a seven when you will only get a little back. Most games will be finished before a player gets to have any extra troops over what they lost. As I said, the sevens by the starting territs can go to the three and the ones you have in the middle also. If you want them to act as impassables of slow players down, then put impassables on the map. I am sure you will get more guidence on this from nole and ian in game play but right now, I feel the 7s are wasted territs. Starting positions. You have a 3 on the kingdoms and also on the starting favoured territ. Is this how you plan to have the starts? Why not have each player only start on there kingdoms. Not to sure how this was going to be but if it is only the kingdoms, an arrow to the starting territ would be nice. It might be the only territ it can attack but the visual aid would really help non English players. If you plan to give both to players, still add the arrow. Positions. 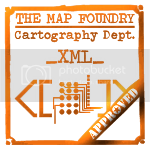 As you are going to have starting positions on the map, you can tell the xml the starting troops. This will also stop players in team games manual deployment stacking one player. Further reducing the need for the high neutrals. Auto deploy. +3 is way to high. A +1 will suffice. Remember, in chained and adjacent reinforcement games these are likely to be left out of the game after round 2 or 3 and will just be built up over rounds. In unlimited games, it gives a lot of troops to players. Text. A lot of text and a lot of small text as well. Do me a favour and scale the map down and see if the text fits is readable. I have a lot more but that can be for another day. koontz1973 wrote: Title. 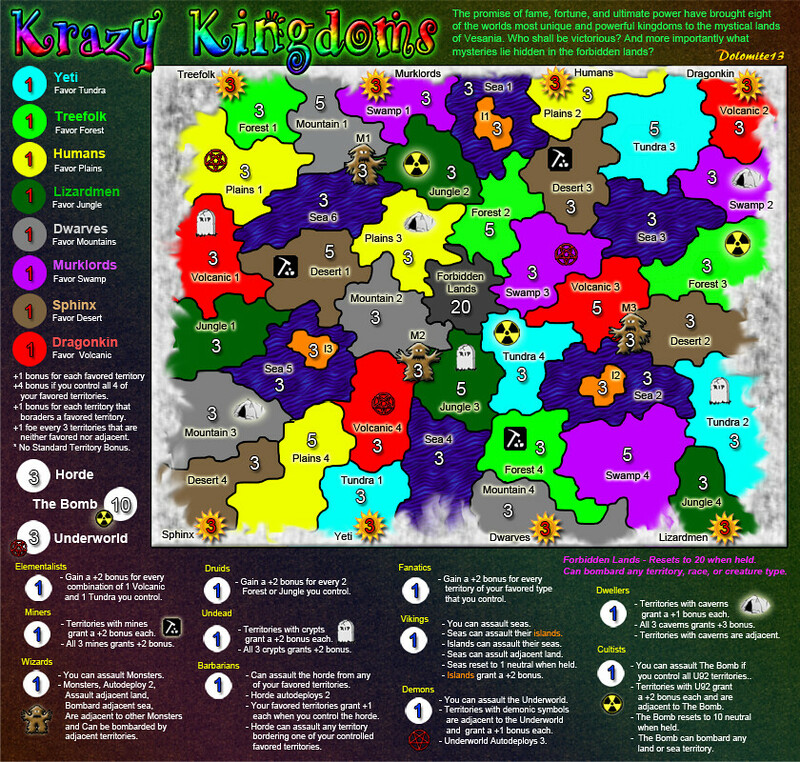 Why krazy kingdoms? When I look at the map I see lots of different species all having there own lands and abilities. What makes that crazy? Seems pretty much the norm for modern society now. 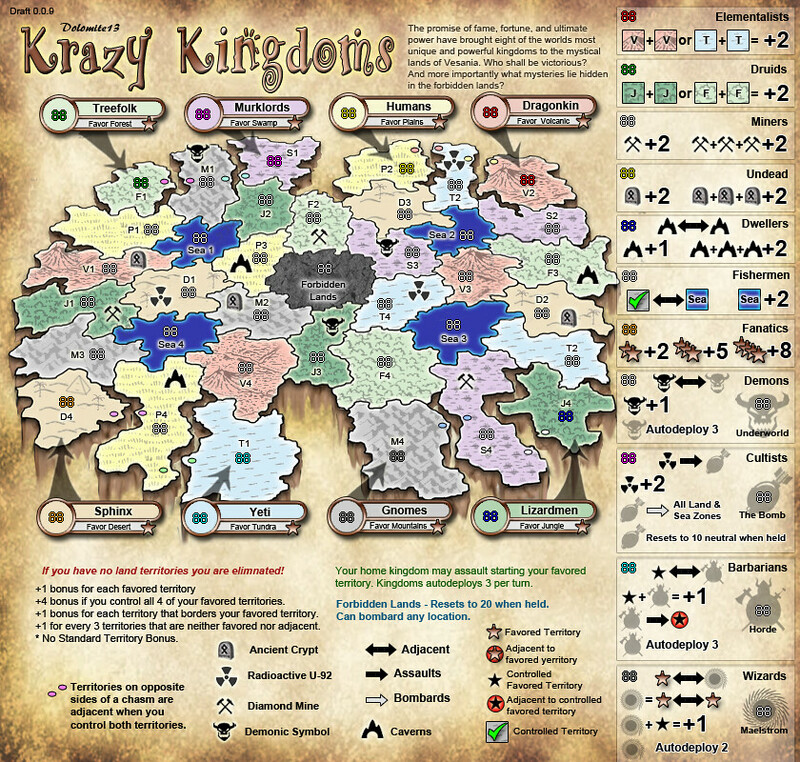 I like the kk thing going on in the title but krazy seems wrong and maybe a different k word can be found to suit better. Just do not add another k to it or you will get kkk. Well partially because the wizard who discovered the land went mad/crazy by the corrupted magic and partially because you get a different race/type combo randomly and that's sort of "crazy" but I can see where your coming from and will think about a new K word. koontz1973 wrote: Story. This is nice and you should keep it in if at all possible. koontz1973 wrote: Map.Not sure having the neutral 7 will stop round one eliminations in large team games. They also throw the map off balance because, of the high neutral it just seems out of place. An idea would be to drop them back to three or even a two and come up with an impassable for all of the territs that start and the seven. So Forest 1 and Swamp 1 cannot attack Mountain 1. Players would then need to go through 3 territs before attacking another player. I can easily change the 7's back to 3's and the autodeploy for kindoms down to 1. I will take a look at the impassible idea and see what can be done to make that work. I plan to remove the monsters in favor of better ones. I have been sketching out graphic ideas and do not plan to use the bright colors and want the territories to have distinct patterns on them to identify them more so than color. The current colors are only there to allow quick identification during the early phases of development. Same with the symbols on the map. koontz1973 wrote: Starting positions. You have a 3 on the kingdoms and also on the starting favoured territ. Is this how you plan to have the starts? Why not have each player only start on there kingdoms. Not to sure how this was going to be but if it is only the kingdoms, an arrow to the starting territ would be nice. It might be the only territ it can attack but the visual aid would really help non English players. If you plan to give both to players, still add the arrow. The plan is to be eliminated if you don't control a territory on the map so starting with only your kingdom will eliminate you on the drop. My sketches for the graphics include an arrow. The red numbers represent "player starts" and the blue numbers represent "random drops". koontz1973 wrote: Auto deploy. +3 is way to high. A +1 will suffice. Remember, in chained and adjacent reinforcement games these are likely to be left out of the game after round 2 or 3 and will just be built up over rounds. In unlimited games, it gives a lot of troops to players. Agreed ... I wonder if starting the kingdoms at "1" and autodeploy "1" would be fine I just wanted to represent the part of the story where the kingdoms can send troops in one direction through the "archway"
koontz1973 wrote: Text. A lot of text and a lot of small text as well. Do me a favour and scale the map down and see if the text fits is readable. I am planning on trying icons or symbols in place of allot of the text. After I change the map to accommodate better start positions with greater distance between them the map may grow rather than shrink. But I will see. 1+1auto for kingdoms should be fine. Rest sounds fine. For the monsters, maybe something out of mythology would look good as you have a lot of old world elements here already. If you do use an impassable, not sure if anything can be found as the normal ones would go against the theme of the map. Mountains with mountain people on do not work. Rivers and forests also for the same reason. But I will have a think on it as well.